The formulation of B. B. Warfield and A. A. Hodge is perhaps the best articulation and development of the church’s historical doctrine and may be summarized as follows. A sound doctrine of inspiration requires a specifically Christian ontology; all misconceptions of or challenges to the historical view of inerrant inspiration ultimately rest on false suppositions regarding the relation between God and creatures. Scripture’s redemptive-historical progression and development must be highlighted; inspiration is organic rather than mechanical (as in the dictation theory). The question of apparent contradictions and errors must be squarely faced and addressed. It is the communication that is inspired, not the authors themselves; we should not imagine the prophets and apostles to be personally omniscient or infallible. The Bible is inspired and without error in all its “real affirmations”; the human authors’ recorded claims and affirmations, not their scientific or cultural assumptions and backgrounds, are the inspired and inerrant Word of God. Inerrancy is not the foundation of the doctrine of Scripture (much less of the Christian faith); Christianity is true not because it rests on an inspired and inerrant text, but vice versa. The inerrancy debate in American evangelicalism is largely one between Old Princeton and Karl Barth. The former is often caricatured as fundamentalism, while the latter is equally caricatured as liberalism. Nonetheless, Barth’s view, like fundamentalism and liberalism, is quite different from that of Protestant orthodoxy here in America. Barth’s criticism of traditional inerrancy stems from his actualism—that is, his ontology of God as “being in act,” specifically applied to the free activity of revelation as identical with the very being of God. Revelation is always an event of God’s self-revelation in Christ, never an objective deposit. Scripture is the church’s normative witness to revelation, and as a creaturely witness it is not only fallible but (like Christ’s human nature) necessarily fallen. Barth also tends to collapse inspiration into illumination, since he seems to allow no qualitative distinction between revelation in and through the Bible and the church’s reception and interpretation of it. Some evangelicals have attempted to reconcile Barth’s views with the church’s traditional understanding, but these continue to employ the fundamentalist caricature rather than the truly classical view of inspiration and inerrancy. HT: Summary taken from chapter four of Michael Horton’s The Christian Faith. Many understand the justice of God like that of Johnny Cash, who writes, “Go tell that long tongue liar, Go and tell that midnight rider, Tell the rambler, the gambler, the back biter, Tell ’em that God’s gonna cut ’em down.” Yet Justice does carry two sides, but it shows forth his wrath and judgment, but does include his grace and mercy as we will see. Joel Beeke has stated that in the justice of God, “we see the moral purity in addition to God’s holiness.” As the righteous God he is, God has established a moral order for the universe. His righteousness means that not only is he righteous and just in himself, but that he will also treat all his creatures fairly. Righteousness is associated with straightness or consistency, and integrity within relationships. In that sense, righteousness is an attribute to God and man. (Psalm 7 gives us this understanding). When it comes to God we may say that divine righteousness is the divine self-consistency within God’s own character and will. Louis Berkhof describes this as a “strict adherence to law” but we need to understand that this is not to be conceived of in a neutral fashion. God is a law unto himself, not in a way that is given to sudden or unaccountable changes, but in a sense that is true to his own character that never changes. We cannot apply to God what was said of God’s people under the Old Testament, “everyone did what was right in his own eyes then.” God is never a law to himself in this way. God cannot deny himself, for he is faithful to himself and his holy character. The justice of God is the inherent and infinite righteousness of God. God is always straight unto himself. In the Old Testament, the basic words denoting righteousness and justice cluster around two word groups. 3. Dikaios (dik-ah’-yoce): This is the New Testament term thatmeans just, agreeably to right, uprightly, righteousness. These terms are used in a variety of ways, but commonly refer to right conduct before God, or God’s right conduct to men. The phrase “the righteousness of God” as used by Paul speaks of a forensic transaction whereby the sinner is pardoned and justified by God. With such a comprehensive term there is a wealth of biblical material. 2. The Covenantal Context of Justice: This is particular in reference to God’s living relationship with his people, set again and again in this covenantal context. It means that God’s righteousness is his total consistency with his covenantal revelation of himself and his covenantal pledge to his people. God shows his righteous acts to all the villages of Israel. In terms of manifesting righteousness, it is expressive of divine integrity bound up in it. God’s divine-human relationship is forged in the context of covenant. That is the reason why the supreme revelation of divine righteousness is found in Jesus Christ on the cross, there the heart of God was revealed in covenantal righteousness, and it is a critical aspect of his dynamic relationship to us. In this context we can speak of human righteousness in the covenant creature. Precisely because we are created in the divine image of the God who is consistent with his covenant, righteousness is both possible and required in us. When Jesus’ Testament speaks about human righteousness, it speaks of possessing integrity in our covenantal relationship with God. That is why the believer in the Old Testament who is described as righteous, is the one who is radically faithful to his covenant obligations (Deut. 24:13). God looks upon this action as righteous in his own sight. There are two aspects vivid in Jesus’ Testament. The principle that the righteousness of God is manifested in one, terrible condemnation, and two, merciful deliverance. This is a result of a proceeding truth, which is, the absolute integrity of God to the revelation given of himself in his covenant. If we lack either perspective which lies at the root of his righteousness we lose the full biblical picture of God’s righteousness. There is a side that speaks of his love and grace and that which speaks of his re-trib-u-tive justice. Example: Consider Martin Luther. Luther named the righteousness of God as retributive, viewing the idea as a thought of punishing. He hated the word righteousness. That righteousness is not to be equated only with punishing/retributive justice and began to understand God’s righteousness as manifested in the gospel as part of God’s mercy and covenant faithfulness. Luther came to understand that as a righteous God he is a Savior. This moves him from seeing it in terms of justice as also manifested in grace and salvation within the context of covenant. 3. Justice &Righteousness (from the root ṣdq) in the Old Testament it is a simultaneously forensic and relational term. It is a “right relationship” that is legally verified by obedience to the covenantal stipulations. It is related closely to mišpaṭ (justice). God’s righteousness is also connected with his mercy, especially in the Psalms. “The maintenance of the fellowship now becomes the justification of the ungodly. No manner of human effort, but only that righteousness which is the gift of God, can lead to that conduct which is truly in keeping with the covenant.” God has a moral vision for his creation, which is revealed in the various covenants that he makes with human beings in history, and his righteousness involves his determination to see that vision through to the end for his glory and the good of creation. At the same time, God’s righteousness cannot simply be collapsed into his mercy (i.e., justification by grace through faith). As the revelation of God’s moral will (i.e., law), God’s righteousness condemns all people as transgressors; as the revelation of God’s saving will (i.e., the gospel), God’s righteousness saves all who believe (Ro 3:19–26). In both cases, God upholds his own righteousness. Against Albrecht Ritschl’s view, which collapses righteousness into mercy, Barth affirms that God’s righteousness includes the concept of distributive justice—“a righteousness which judges and therefore both exculpates and condemns, rewards and also punishes.” Yet for Barth, this condemnation turns out to be just another form of love and grace. According to Barth, God’s wrath is always a form of mercy. However, in Scripture, God’s wrath is his righteous response to sin and his mercy is a free decision to grant absolution to the guilty. As we have seen, God is free to show mercy on whomever he will and to leave the rest under his just condemnation. The righteousness that God discloses in the law brings condemnation, but the gift of righteousness that God gives brings justification and life (Ro 3:19–22). Once again, it is at the cross where we see the marvelous unity of divine attributes that might seem otherwise to clash. This paradox is lost if mercy, righteousness, and wrath are synonymous terms. To the saved: There are much more nuanced applications for the believer of Christ than the unbeliever. 1. We should reflect God’s justice/righteousness. 2. In financial dealings we should be equitable, reflecting the fairness of God. This is something that is not thought of as often as it should be. 3. We should revere God’s justice. We read of that in 1 Peter 1, where Peter speaks in vv. 17-19. We understand that God judges rightly and only by Christ’s righteousness that we have been saved. The Lord loves judgment and forsakes not his saints. 4. We also hope in God and his justice for remuneration, Isa. 30:18. God will make things right on the Day of Judgment. We know that he will be righteous and judge even though we don’t see it here. 2 Thess. 1:4-8. We should defer to God’s justice for retribution, Rom. 12:19. God is in control and exercises just retribution. To the unsaved: They are called to repentance. No one can escape God’s righteous judgment. Rom. 2:3 reads, Do you suppose, O man—you who judge those who practice such things and yet do them yourself—that you will escape the judgment of God?”  People need to be warned and we need to warn them in our ministry not to despise God’s goodness and forbearance. Paul goes on to say in Romans 2:4, the unbeliever looks around and doesn’t see punishment for wrong done right now and presumes that God will not punish at all forgetting God’s timeless character. God’s righteousness stands over that and declares that God will judge without respect of person, by standards of law and gospel therefore you must repent and get right before God, you must immediately seek his face in repentance and faith. Is one of the most familiar themes of the Scriptures when speaking about God. He is good in an incredible diversity of ways to all his creatures. Most Reformed systematic theologians take up the attributes of mercy, grace, loving kindness, and longsuffering. That does not mean that each of these terms are identical, but it does mean that a God who is fundamentally good expresses that goodness in many different ways like; mercy, grace, loving kindness, and longsuffering. Michael Horton wonderfully writes on this area, “God’s knowledge, wisdom, and power are inseparable from his goodness. In fact, in the strict sense, Jesus said, “No one is good except God alone” (Mk 10:18). God’s infinite goodness is the source of all creaturely imitations. Precisely because God does not depend on the world, his goodness is never threatened. God is good toward all he has made, even his enemies (Ps 145:9, 15–16; Mt 5:45). He can afford to be, because he is God with or without them. 1. Towb (tobe = tove): This is the most common word within the OT. It is used as an adjective, sometimes as a verb, but mostly as a noun, translated good, goodness, kindness, prosperity, bountiful. It’s specifically used of God’s goodness 84 times in the OT. The LORD is good and does good. 2. tuwb (toob = toov): meaning; goodness, gladness, to go well with, and it is used of God at least 17 times with the OT. 4. agathos (ag-ath-os): the most general word for good, what is morally proper, beneficial. Translated as good or well, used 10 times of God’s goodness in the NT. 5. chrestotes (khray-stot’-ace): refers to moral excellence; usually translated goodness, kindness, gentleness, used 6-7 times of God of its eight times used in the NT. All of these combined, the Scriptures speak 136 times that God is referred to as good. 1. Creation: God is concerned about the well being of his own creation and does things to promote that well -being, but not outside of righteousness and holiness. Rather because he does what is righteous and holy he promotes their well-being. One of the classic texts is James 1:17, “every good gift and perfect gift…no variableness or shadow of turning.” Another text is Matt. 7:11, where it refers to human beings knowing how to give good gifts to their children….It comes as no surprise to us given the inherent goodness of God that Scripture abounds with God’s goodness in a variety of ways. God declares his creative goodness when he declares his creation good. In Ps. 136:5-9, his goodness endureth forever. Puritan Stephen Charnock, spends 11 pages on the display of God’s goodness in creation. There he expounds the idea that the world was made for man, to gratify man with all his goodness. Creation drips with God’s goodness. 2. Providence: Ps. 136:25 reads, “who gives food to all flesh, his goodness endures forever.” God gives it to all flesh, all living creatures. He provides food for man and beast alike. His providence manifests itself in a variety of ways: in its covenantal foundation, Gen. 6:17-19 and 9:8-11. The point is that God is good to Noah as a covenant keeping God in the realm of natural things. God perpetuates life in our family and society. He tempers the curse that man deserves, Gen. 9:2. He makes abundant provision to keep us alive, restrains sin in society, and calls men to repentance. God is lavish; his providence is not only keeping people alive but he gives abundantly. How good God is in so many ways in his providence that we often take for granted. There is a special kind of goodness that he manifests in a special providence over those that fear him. The Lord preserves all them that love him. It focuses particularly on his children. The Lord pities them that fear him. 3. Redemption: Preeminently God’s goodness in his redemption of us. This is apparent in his dealings with the exodus and redemption from Egypt. Manifested today as well in redeeming us from sin in Jesus Christ and in bringing the Holy Spirit to teach us the things of God. Every individual believer in his path of salvation experiences the goodness of God. We receive every spiritual blessing as believers in Christ Jesus. That is God’s goodness. God applies his redemption to us initially (Eph. 2:1-10), but also by continuing to apply redemption to us over and over again. Goodness and mercy shall follow me all the days of my life and I shall dwell in the house of the Lord forever. One day, God’s goodness will lead us into the new heavens and new earth, we will sin no more, Ps. 23:6. One theologian wrote, “Well my goodness gracious let me tell you the news, My head’s been wet with the midnight dew, I’ve been down on bended knee talkin’ to the man from Galilee, He spoke to me in the voice so sweet, I thought I heard the shuffle of the angel’s feet, He called my name and my heart stood still, When he said, “John go do My will!” Johnny Cash experience the goodness of God. 2. We should hunger and plead to grasp God’s goodness. 3. We should proclaim God’s goodness. Having been forgiven much they ought to forgive much. Having tasted of the love of God we ought to love him. Our lives ought to reflect that goodness in our lives, imitate it, and love our enemies, Matt. 5:45. 4. We should anticipate God’s goodness. We should not wallow in unbelief and fear the worst and we forget that God is always good, Ps. 27. One way to not become overwhelmed in trying circumstances is to consider, when has God not been good to me? That will take care of your problems. We should appreciate his goodness; treasure it, love it, Ezra 3:11. 5. We should show deep respect for God for his goodness, Ex. 34:8. The goodness of God ought never to produce shallowness in us, but sacred worship. Irreverent familiarity is an abuse of God’s goodness and doesn’t come from him. So many say that God is good and flippantly go on their way, but a real understanding of God’s goodness makes us make haste, bow our heads and worship. “Go tell that long tongue liar, Go and tell that midnight rider, Tell the rambler, the gambler, the back biter, Tell ’em that God’s gonna cut ’em down.” Yet Justice does carry two sides, but it shows forth his wrath and judgment, but does include his grace and mercy as we will see. Joel Beeke has stated that in the justice of God, “we see the moral purity in addition to God’s holiness.” As the righteous God he is, God has established a moral order for the universe. His righteousness means that not only is he righteous and just in himself, but that he will also treat all his creatures fairly. Righteousness is associated with straightness or consistency, and integrity within relationships. In that sense, righteousness is an attribute to God and man. (Psalm 7 gives us this understanding). When it comes to God we may say that divine righteousness is the divine self-consistency within God’s own character and will. Louis Berkhof describes this as a “strict adherence to law” but we need to understand that this is not to be conceived of in a neutral fashion. God is a law unto himself, not in a way that is given to sudden or unaccountable changes, but in a sense that is true to his own character that never changes. We cannot apply to God what was said of God’s people under the Old Testament, “everyone did what was right in his own eyes then.” God is never a law to himself in this way. God cannot deny himself, for he is faithful to himself and his holy character. The justice of God is the inherent and infinite righteousness of God. God is always straight unto himself. In the Old Testament, the basic words denoting righteousness and justice cluster around two word groups. 2. The Covenantal Context of Justice: This is particular in reference to God’s living relationship with his people, set again and again in this covenantal context. It means that God’s righteousness is his total consistency with his covenantal revelation of himself and his covenantal pledge to his people. God shows his righteous acts to all the villages of Israel. In terms of manifesting righteousness, it is expressive of divine integrity bound up in it. God’s divine-human relationship is forged in the context of covenant. That is the reason why the supreme revelation of divine righteousness is found in Jesus Christ on the cross, there the heart of God was revealed in covenantal righteousness, and it is a critical aspect of his dynamic relationship to us. In this context we can speak of human righteousness in the covenant creature. Precisely because we are created in the divine image of the God who is consistent with his covenant, righteousness is both possible and required in us. When Jesus’ Testament speaks about human righteousness, it speaks of possessing integrity in our covenantal relationship with God. That is why the believer in the Old Testament who is described as righteous, is the one who is radically faithful to his covenant obligations (Deut. 24:13). God looks upon this action as righteous in his own sight. There are two aspects vivid in Jesus’ Testament. The principle that the righteousness of God is manifested in one, terrible condemnation, and two, merciful deliverance. This is a result of a proceeding truth, which is, the absolute integrity of God to the revelation given of himself in his covenant. If we lack either perspective which lies at the root of his righteousness we lose the full biblical picture of God’s righteousness. There is a side that speaks of his love and grace and that which speaks of his re-trib-u-tive justice. Example: Consider Martin Luther. Luther named the righteousness of God as retributive, viewing the idea as a thought of punishing. He hated the word righteousness. That righteousness is not to be equated only with punishing/retributive justice and began to understand God’s righteousness as manifested in the gospel as part of God’s mercy and covenant faithfulness. Luther came to understand that as a righteous God he is a Savior. This moves him from seeing it in terms of justice as also manifested in grace and salvation within the context of covenant. 3. Justice &Righteousness (from the root ṣdq) in the Old Testament it is a simultaneously forensic and relational term. It is a “right relationship” that is legally verified by obedience to the covenantal stipulations. It is related closely to mišpaṭ (justice). God’s righteousness is also connected with his mercy, especially in the Psalms. “The maintenance of the fellowship now becomes the justification of the ungodly. No manner of human effort, but only that righteousness which is the gift of God, can lead to that conduct which is truly in keeping with the covenant.” God has a moral vision for his creation, which is revealed in the various covenants that he makes with human beings in history, and his righteousness involves his determination to see that vision through to the end for his glory and the good of creation. At the same time, God’s righteousness cannot simply be collapsed into his mercy (i.e., justification by grace through faith). As the revelation of God’s moral will (i.e., law), God’s righteousness condemns all people as transgressors; as the revelation of God’s saving will (i.e., the gospel), God’s righteousness saves all who believe (Ro 3:19–26). In both cases, God upholds his own righteousness. Against Albrecht Ritschl’s view, which collapses righteousness into mercy, Barth affirms that God’s righteousness includes the concept of distributive justice—“a righteousness which judges and therefore both exculpates and condemns, rewards and also punishes.” Yet for Barth, this condemnation turns out to be just another form of love and grace. According to Barth, God’s wrath is always a form of mercy. However, in Scripture, God’s wrath is his righteous response to sin and his mercy is a free decision to grant absolution to the guilty. As we have seen, God is free to show mercy on whomever he will and to leave the rest under his just condemnation. The righteousness that God discloses in the law brings condemnation, but the gift of righteousness that God gives brings justification and life (Ro 3:19–22). Once again, it is at the cross where we see the marvelous unity of divine attributes that might seem otherwise to clash. This paradox is lost if mercy, righteousness, and wrath are synonymous terms. To the unsaved: They are called to repentance. No one can escape God’s righteous judgment. Rom. 2:3 reads, Do you suppose, O man—you who judge those who practice such things and yet do them yourself—that you will escape the judgment of God?” People need to be warned and we need to warn them in our ministry not to despise God’s goodness and forbearance. Paul goes on to say in Romans 2:4, the unbeliever looks around and doesn’t see punishment for wrong done right now and presumes that God will not punish at all forgetting God’s timeless character. God’s righteousness stands over that and declares that God will judge without respect of person, by standards of law and gospel therefore you must repent and get right before God, you must immediately seek his face in repentance and faith. “God’s knowledge, wisdom, and power are inseparable from his goodness. In fact, in the strict sense, Jesus said, “No one is good except God alone” (Mk 10:18). God’s infinite goodness is the source of all creaturely imitations. Precisely because God does not depend on the world, his goodness is never threatened. God is good toward all he has made, even his enemies (Ps 145:9, 15–16; Mt 5:45). He can afford to be, because he is God with or without them. 3. yatab (yaw-tab): to do good and to do well; used of God 19 times in the OT; refers to God’s beneficent attitude particularly in his dealings towards his people. 5. chrestotes (khray-stot’-ace): refers to moral excellence; usually translated goodness, kindness, gentleness, used 6-7 times of God of its eight times used in the NT. All of these combined, the Scriptures speak 136 times that God is referred to as good. “Well my goodness gracious let me tell you the news, My head’s been wet with the midnight dew, I’ve been down on bended knee talkin’ to the man from Galilee, He spoke to me in the voice so sweet, I thought I heard the shuffle of the angel’s feet, He called my name and my heart stood still, When he said, “John go do My will!” Johnny Cash experience the goodness of God. 3. He alone has unchangeable power in Isa. 40:28 “Have you not known? Have you not heard? The Lord is the everlasting God, the Creator of the ends of the earth. He does not faint or grow weary; his understanding is unsearchable. 1. Total Omnipotence: This is the doctrine of scholastics who claim that God is capable of doing everything without any limitation whatsoever. They are usually those who commonly enjoy telling others that God cannot be placed in a box. This understanding of total omnipotence leads to absurd conclusions that God for example can sin, cease to exist, effect contradictions making yes equal no, or the common question I get in seminary, “what if God chose to leave the Trinity” as if an unchangeable covenant between them could take place. It is important for us to know that the Scriptures make it clear that there are things that God cannot do. God is not a man that he should lie, and we know God cannot lie. 2 Tim. 2:13 we read, “If we are faithless, he remains faithful— for he cannot deny himself.” God will keep his promise in remaining faithful and cannot deny himself. James 1:13 reads, “Let no one say when he is tempted, “I am being tempted by God,” for God cannot be tempted with evil, and he himself tempts no one.” God cannot be tempted with evil. The Scriptures, the very Word of the Lord himself limits what God can or cannot do. God does not have unqualified power to unaccountable changes of mood or behavior (commonly called capricious (ca-pri-cious). Three things in God’s character limit his power; One, his ideality, he is ideal. Two, His immutability, he is unchangeable, and three, his sovereignty, he cannot do something against his decree. The point we need to maintain on omnipotence is that God is consistent in his nature and cannot do something inconsistent with his own perfections. 2. Actual Omnipotence: This view of God’s Omnipotence claims that God can only do what he actually does since he is unchangeable. Some people have dressed this up and called it process theology (which I mentioned before when dealing with God’s immutability). Those who espouse this error try to disconnect God in every way discretely from the evil they see in the world. This particular understanding of omnipotence teaches that God cannot do anything about it, that he is helpless in himself, that he cannot fix or aid the problem of sin within the world. God is doing the best he can and would put an end to evil if he could, but he cannot. This depreciates and belittles God’s credibility and weakens him in that it would make God a liar, because God has repeatedly asserted that God is over all things, good, and even evil. For example we read in Eph. 1:11, “In him we have obtained an inheritance, having been predestined according to the purpose of him who works all things according to the counsel of his will.” Jesus himself asserts that this is false in Matt. 26:53, “Do you think that I cannot appeal to my Father, and he will at once send me more than twelve legions of angels?” Jesus could have summoned angels, but refrained from doing what he could have done. Biblical Concept of God’s Omnipotence: In summary God can do anything and everything that he wills to do merely by willing it, since nothing can restrain him and nothing is too hard for him. This omnipotence is commonly broken down into three areas by theologians. 1. Concrete Substance: Most Reformed theologians (Calvin, Berkhof, Bavinck, and Brakel) refer to this as God’s ordinate power. This relates to what God ordains and orders and purposes to do. They recognize the close association of God’s will and God’s power. God’s power is part of his sovereign will. There is overlap here; systematic theologian Louis Berkhof “classifies it as an attribute of sovereignty.” The great Princeton Theologian Charles Hodge distinguishes the power of God from the sovereignty of God. While yet the Dutch theologian Herman Bavinck: doesn’t give it separate treatment, he states “there is a great deal of overlap” between the power and sovereignty of God. Because I am more infatuated with the Dutch than Presbyterians, I have followed Bavinck’s example this morning – combining the Lord’s power overlapped with his sovereign rule (joking of course). The focus on the word sovereignty draws our attention to the authority of God. God has power to effect and bring to pass what he will. Sovereignty has the right to do what he wills. The difference is in this area, it differs on the exclusive right of God that he disposes of creation as he wills. This is what man hates to hear, because man despises anything that challenges his autonomy. Man resists sovereign power because that gives God the right to do with us as he will. Some Reformed theologians properly define it as God’s sovereign will, like Berkhof (Cf. page 80) and Stephen Charnock (page 364) and Charles Hodge (vol. 1, 407-8). This teaches us three things: One, to give the Almighty the praise and honor that are his due, two, we ought to face our own limitations to recognize that we are not omnipotent, our entire life depends on God, and three, we should trust God and not charge him foolishly even when we experience severe afflictions. 2. Supernatural Instrument: God can do everything merely by willing it. That is the supernatural instrument. He needs no other means (Ps. 33). He is capable of working miraculously without created means and working above them at his pleasure, even though he usually works through means. 3. Infinite Source:Since nothing can restrain God, nothing is too hard for him – this is hard to grasp in our finite minds. The Scriptures speaks that nothing is too hard for the Lord. This infinite source is an infinite source for us in daily life as well. It speaks of the infinite potentiality of God, who serves in relationship to resistance, in relation to difficulty, and in relation to feasibility. No amount of opposition can oppose successfully God’s design, and there is no task God cannot complete. Nothing is beyond the realm of feasible for God, to do exceeding above what we ask or think, as Paul reminds us in Eph. 3:20. “Now to him who is able to do far more abundantly than all that we ask or think, according to the power at work within us.” Some refer to this as God’s absolute power, because the Scripture presents it in absolute terms. The actual exercise of God’s power does not express its limits in absolute power of God. God’s power to do everything falls within the scope of God’s infinite potentiality. This distinction is used discreetly and we must have great caution here as well because some scholastics have employed this distinction of total omnipotence. There is a sense in which we can speak of God’s absolute power, but not mean total omnipotence. For a further study on this area, you can read Louis Berkhof on page 80 or Charles Hodge in volume 1 on page 409 on God’s supernatural power exercised without means. 1. This should teach us that all rebellion is futile. 2. This should teach us to trust God in all situations to believe what he says and what he promises to do, even if it is scientifically impossible. Past Example, Sarah laughed, but God rebuked her for laughing, there were those who laughed at the plagues of Egypt, but God rebuked. Present Example, today the world laughs at creation but God will rebuke. It is important to understand that God’s Word is true – let God be true, because every man is a liar. 3. As for pastors, it can become depressing I am sure to not come across, or see conversions taking place in one’s congregation they are ministering in. This doctrine should teach the pastor and his members that God’s infinite potential is able to convert the most hardened sinner. We cannot do it and we learn that more and more by experience. No matter how wholeheartedly one may preach, the pastor does not convert the sinner, but with God all things are possible because of his power, men like Saul become Paul. One can see God’s sovereign power in a number of ways within the Scriptures. God’s Omnipotence in Salvation: Luke 2, the virgin birth, miracles of Christ, crucifixion, resurrection and ascension and the application of salvation by his Spirit. God’s Omnipotence in Eschatology: The consummation of salvation here takes place, the 2nd coming of Christ, the glorification of the Church, the purification of the world by fire, the Final Judgment, eternal punishment of the wicked, eternal glory of heaven, and the abyss of hell; all proclaim God’s omnipotence sovereign power and rule over all things. God’s supreme power instructs his people, it instructs us to bend the knee to no man and to call no man master, to serve the Lord not to live in the face of fear of man. God’s supreme power helps us to see deceivers for what they really are. God’s supreme power comforts his people in that what he has done for us, he will continue to do, until his return in Jesus Christ. God’s supreme power exhorts his people to bless him and praise him in creation, providence and redemption, to acknowledge and honor him, and to have confidence in him. God’s supreme power exhorts us to obey him and hope and wait for him, to seek him with great expectancy. God’s supreme power calls sinners to cease rebellion against the Lord and flee to Jesus Christ for pardon before such power consumes them. 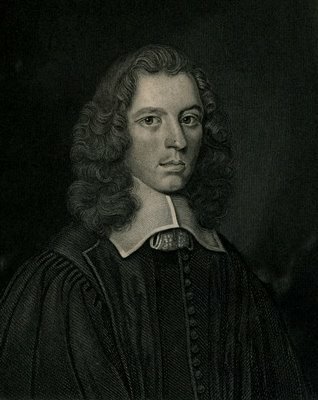 For Stephen Charnock (1628-1680) the being of God is necessarily bound up with the concepts of essence and existence. In Charnock’s exposition of John 4:24 “God is a Spirit”. “He hath nothing corporeal, no mixture of matter, not a visible substance, a bodily form. Charnock notes that (John 4:24) is the only place in the whole Bible where God is explicitly described as a Spirit. Charnock states if God exists He must be immaterial because material by nature is imperfect. Charnock also describes God in two ways, by affirmation God is good and God has no body. Charnock begins by noting the difficulty of this topic. In his attempt to understand eternity Charnock contrast the attributes of God with the concept of time. Eternity is perpetual duration, without beginning or end, but time has both beginning and an end. He explains how God as God must be eternal, and that eternity properly belongs to God. The Scriptures constantly speak of God as eternal (Exodus 3:14, Rom. 16:26). Nothing can give being to itself. Acts, whatever they may be, are predicated on existence, a cause precedes an effect. God’s very existence proves that He has no being from another, otherwise He would not be God therefore God must be eternal. Charnock describes how when God acts He does so according to the counsel of His own infinite understanding. No one is His counselor. Charnock speaks of the divine will as something that is not rash, but follows “the proposals of His Divine mind, he chooses that which is fittest to be done.” Knowledge and wisdom differ insofar as knowledge is the “apprehension of a thing, and wisdom is the appointing and ordering of things.” God possesses an essential and comprehensive wisdom. The Son of God however is the personal wisdom of God. Wisdom, as a necessary perfection in God, is manifested in the Son of God, who “opens to us the secrets of God.” The work of Christ manifests the wisdom of God as both the just and the justifier of the ungodly; but Christ also reveals the preeminent wisdom of God, for in the incarnation the finite is united with the infinite, immortality is united to mortality, and a nature who made the law is united to a nature under the law all in one person. For StephenCharnock Christ is the image of God’s holiness because since God in His glory is “too dazzling to be beheld by us,” the incarnation makes it possible for the elect to not only behold the holiness of God in the face of Jesus Christ (2 Cor. 3:18), but also become holy like God through Jesus Christ. Therefore in God’s goodness he provides a means in which we can apprehend this holiness, the application of this therefore has a Christ centered focus. Charnock affirms a threefold dominion in God, that which is natural and therefore absolute over all things; that which is supernatural or gracious, which is the dominion God has over the Church; and that which is glorious (i.e. eschatological), which refers to the kingdom of God as He reigns over saints in heaven and sinners in hell. The first dominion is founded in nature; the second in grace; the third in regard to the blessed in grace; in regard of the demand, in demerit in them, and justice in him. The dominion of God is to be distinguished from His power. The latter has reference to His ability to affect certain things, whereas the former speaks of His royal prerogative to do as He so chooses. Recently preparing my lessons/lectures on the topic of “Why Suffering Exists if God Exist” for my high school apologetics course I came across a quote by Tim Keller. I found it worthwhile to repeat here for those that still follow along with my blog. God only allows Satan to accomplish the very opposite of what he wants to accomplish. He only gives Satan enough rope to hang himself…God hates evil. He’s against it. He didn’t create a world in which evil existed. But He permits it. Why? He permits Satan only to bring evil into Job’s life in such a way, in such an amount, that actually completely defeats Satan’s real intention. Satan is only allowed by God to actually defeat himself and achieve the very opposite of what he wanted… He permits evil and suffering to come into your life only to the degree that it defeats the actual intention of Satan for you. Only to the degree that it makes you a great person. Only to the degree that it actually defeats itself.